January 15 1991 - First hot-air balloon 'Virgin Pacific Flyer' to cross the Pacific Ocean takes off from Japan to Northern Canada with Per Lindstrand and Richard Branson, flying in the trans-oceanic jet streams, it recorded the highest ground speed for a manned balloon at 245 mph (394 km/h). January 16 2003 - Launch: Space Shuttle Columbia STS-107 at 15:39:00 UTC. Loss of vehicle and crew before landing at KSC. January 18 2005 - The world's largest passenger plane, the Airbus A380, gets unveiled in an elaborate ceremony in France. January 19 1978 - Solar One, the world's first solar-powered aircraft, makes its first flight in England. January 20 1930 - Edwin Eugene "Buzz" Aldrin, Jr., American pilot and astronaut, is born. Aldrin was the Lunar Module Pilot on Apollo 11, the first lunar landing. He was the second person to have set foot on the Moon, after Mission Commander Neil Armstrong. South African Airways (SAA) this week became one of only two global carriers (alongside Finnair) to achieve Stage 2 status of the IATA Environmental Assessment Programme (IEnvA); a comprehensive airline environmental management programme. IEnvA seeks to introduce sustainability standards for airlines to cover all areas of an airline's operations including air quality and emissions, noise, fuel consumption and efficient operations, recycling, energy efficiency, sustainable procurement, biofuels and many more. SAA was also one of six airlines to participate in the initial phase, Stage 1, of the Programme in June 2013. IEnvA is a stringent environmental assessment programme based on recognised international environmental management systems such as ISO 14001. It was developed jointly by leading airlines and environmental consultants and SAA has been part of this process from its genesis and currently chairs the IEnvA Oversight Working Group. SAA conducted its Stage 2 assessment in record time, six months prior to the two year deadline. "Participation in the programme and this achievement affirms SAA's commitment in answering its dual mandate and as a leading African and global airline," says SAA Acting CEO Mr. Nico Bezuidenhout. 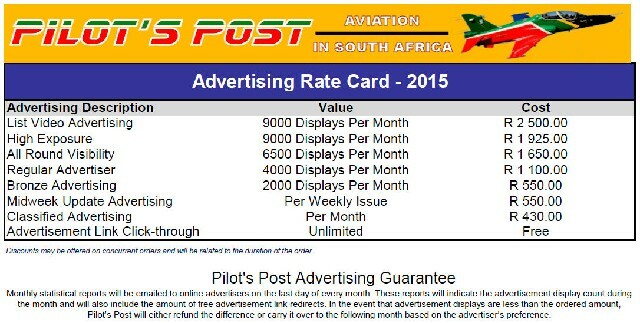 The IEnvA standards set down will serve as a guideline for 240 other airlines around the world. SAA's participation in the programme forms part of the Long-Term Turnaround Strategy with a dual mandate focus. Last year the airline launched the first African biofuels project, the transformation of tobacco oil to jet fuel, with sector role players. "Responsible environmental management has the potential to deliver commercially beyond the clear social and environmental benefit. Projects such as the tobacco biofuels venture could provide several future commercial impetus ranging from input cost benefits through to the value of technology," adds Mr. Bezuidenhout. The initiative was followed by the introduction of new fuel efficient navigation approaches (RNP-AR: Required Navigational Performance, Authorisation Required). "The enhanced aircraft approaches' fuel savings provide immediate bankable fuel savings." Inside the organisation there is also an on-going drive to embed a culture environmental sustainability with policy directing the airline toward ultimate emission reduction leadership in both continental and global aviation. SAA plans to continue demonstrating its commitment to its mandate concomitant to the carrier's environmental programme. "IEnvA is a robust programme that effectively cuts through the complexities of the aviation sector; it is inspiring to our staff, a positive step for the industry and attractive to travellers. The initiative will ultimately be good for business and is a step toward ensuring future-proofing of aviation," says Mr. Bezuidenhout. We now know that AirAsia flight QZ8501 crashed. And while we cannot be absolutely certain why it did so, the recent history of aviation disasters, which I have studied as a safety analyst for the last three decades, gives us a very good idea. 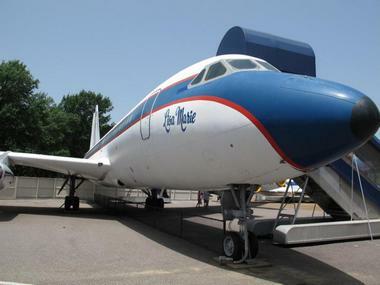 Back in the Seventies and earlier, airliners used to crash far more often than today, but for different reasons. Engineering and design then were less advanced, so technical failures of the engines, airframes, or the pilots' instruments (avionics) were far more common, and the aircraft themselves were more difficult to fly. But in those days, loss of control by the pilots of a sound aircraft hardly ever featured. The US Federal Aviation Administration has spent five years examining why perfectly airworthy planes now just fall out of the sky. The FAA's John Hickey explained the rationale behind the research: "An evolution has occurred in that pilots, with their training, have become somewhat incompatible with the way airplanes are built and designed today. When we look at accidents over the last 10 years there is a common theme in the US and globally. There is a fundamental misunderstanding going on between man and machine. We have to fix that." The FAA's study, published last year, was called The Operational Use of Flight Path Management Systems. That rather turgid title refers to the computers that manage today's autopilots. The pilots have to manage the computers. Pilots touch the traditional flight controls only for a couple of minutes in every flight, and spend much of their time programming and monitoring the FMS - the flight management system. The FMS is their main computer interface with the aircraft, and directs its flight via the autopilot. The FMS flies and navigates the aircraft more accurately and smoothly than a pilot could, and hardly ever fails. The pilots learn to trust it. The FAA sums up the difference between the Seventies and now: "Managing the flight path of an aircraft is a basic pilot responsibility, but the means for accomplishing it have evolved considerably." In other words, pilots used to fly by brawn and brain. Now they do it by computer, with the brawn and brain as a backup. That, at least, is the theory. In practice most pilots have not been trained for the modern piloting task. Regulations regarding what they must regularly practise - by law - are way out of date. A few airlines are voluntarily adopting evidence-based training - tailored to pilot needs rather than out-of-date regulations - but only a few. The FAA working group established that today's pilots have a number of "vulnerabilities". The prime one is that if the automatics fail, the pilots are no longer practised in managing without them. This leads pilots to lose confidence in their own traditional flying abilities, so when things go wrong they have a tendency to try to restore failed automatic systems when, in fact, they should be flying the aircraft to keep it safe. On July 24 this year an Air Algerie flight over West Africa also went missing shortly after the pilots reported changing course to avoid storms in their path. About two days later the wreckage was found in desert in Mali. In June 2009 an Air France Airbus A330 - flight AF447 - was lost on a Rio de Janeiro-Paris route over the South Atlantic. The pilots were manoeuvring to avoid storm clouds at the time. The aircraft's "black boxes" were eventually recovered, revealing that the pilots had been confused by a momentary loss of airspeed information. The autopilot relinquished control to the pilots, but they quickly lost control of the aircraft. The icing that had temporarily blocked the external airspeed sensors was related to the storms close by. In another weather-related loss in August 2005, a West Caribbean Airways Boeing MD-80 flying from Panama City to Martinique went out of control while the pilots were discussing how to deal with engine icing the aircraft seemed to be suffering in high-level cloud. The crew told air-traffic control that the plane could not maintain altitude. The stall warning - telling the pilots the aircraft was flying too slowly to generate lift - operated during the descent, which took just 210 seconds from cruise at 33,000ft to impact with the ground. In all three cases there was nothing wrong with the aircraft that would have prevented the pilots retaining control if they had been practised at operating without the automatics. But they were not. The loss of the AirAsia A320 and all 162 people on board may well add to this sad catalogue of avoidable accidents. Two Su-34 frontline bombers took off the airport of the Sukhoi Company's branch - the V.P. Chkalov Novosibirsk aviation plant and headed to the place of deployment at one of the air bases in the South of Russia. The aircraft were handed over to the Russian Air Force several days ago. Thus, the Sukhoi Company exceeded the initial yearly delivery plan for the 2014 State Defence Order on that type of aircraft. The Novosibirsk aviation plant operates at full capacity. The State contract with the Ministry of Defense of the Russian Federation for supplies of the Su-34s to the Air Force up to the year 2020 guarantees its stable workloads for the coming years and identifies long-term development prospects. 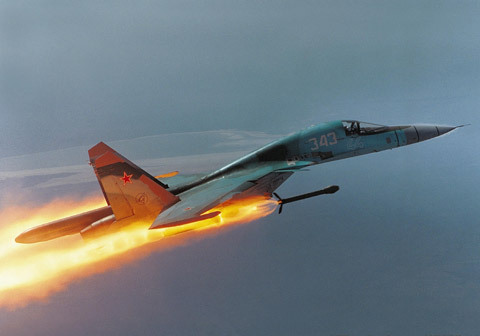 Currently, Su-34s have been used successfully in the military and demonstrate high performance. The features of the new generation frontline bomber include, in particular, an increased up to 4000 km flight range, a maximum speed of up to 1900 km/h and a payload of up to 8 tons. The Su-34 has a new weapon system and an air refueling system. Flights into Kenya's main airport have been suspended after a passenger plane crash-landed on the runway in the capital Nairobi. No deaths or injuries have been reported at Jomo Kenyatta International Airport on Sunday. The Kenyan Airports Authority said the Fokker 50 turboprop plane carrying six people had touched down on its belly after the landing gear failed. All flights into Nairobi were being diverted to the port city of Mombasa. Later on Sunday, airport officials said that the plane had been removed and the runway reopened. The aircraft had been flying from the north-eastern town of Wajir when it made the emergency landing. The Jomo Kenyatta airport is one of the busiest airports in east and central Africa, acting as an important transport hub for both passengers and goods across the continent. 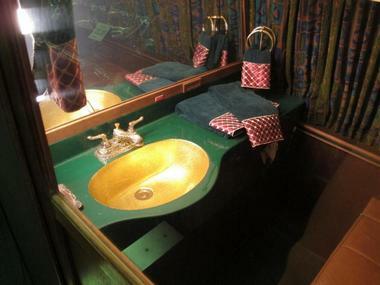 It serves a daily average of 19,000 passengers from Africa, Europe and Asia, according to the Kenyan Airports Authority. Two passengers have suffered minor injuries after a plane came off the runway at Stornoway Airport on the Isle of Lewis. The Loganair service was due to fly to Glasgow at about 08:30. It is thought it may have been caught in strong crosswinds. All those on board were taken off the aircraft. Stornoway Airport said an investigation into the incident was under way. One passenger who was on board told the BBC it felt as if the tail was caught by a crosswind. 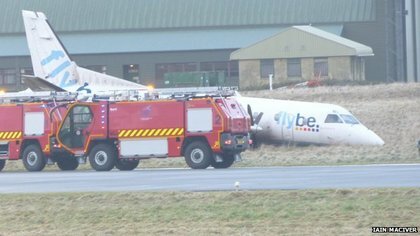 A statement from the airport operators said: "An outbound aircraft Saab 340 aircraft operated by Loganair veered off the runway at Stornoway Airport at 8.33am this morning. 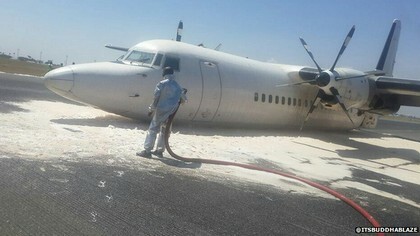 "Efforts to remove the aircraft from the runway are ongoing and investigations into the cause of the incident are under way. "It is it our intention to resume normal operations as soon as the aircraft is safely removed from the runway. There are no scheduled arrivals or departures at Stornoway until later this afternoon." 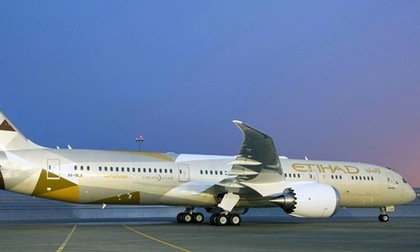 Boeing delivered Etihad Airways' first 787-9 Dreamliner sporting the airline's new "Facets of Abu Dhabi" livery which was revealed at a ceremony earlier this year. The colors are reminiscent of the desert landscape, inspired by the culture, Islamic design and architecture motifs of the United Arab Emirates. "We are confident that the additions of the 787 Dreamliner to our growing fleet will enable us to continue to add vital long-haul destinations from our Abu Dhabi hub," said Peter Baumgartner, chief commercial officer for Etihad Airways. "We will first use the aircraft on routes to cities such as Dusseldorf, Washington D.C., Mumbai, Brisbane and Moscow and will have over 70 within the fleet, once our order is complete. "The aircraft meets our requirements on these routes and will enable us to continue to provide the highest levels of customer service to the guests we welcome on board," he added. In addition to bringing big-jet ranges to midsize airplanes, the 787 provides airlines with unmatched fuel efficiency, resulting in exceptional environmental performance. The family uses 20 to 30 percent less fuel with 20 to 30 percent fewer emissions than the airplanes they replace. The airplane also has more cargo revenue capacity - a 20 to 45 percent advantage over replacement airplanes. The 787-9 can carry 280 passengers 8,300 nautical miles (15,372 kilometers). The 787-10, launched in June 2013 and in development now, will fly 323 passengers up to 7,000 nautical miles (13,000 kilometers), or more than 90 percent of the world's twin-aisle routes. "We are excited to see the 787 footprint grow in the Middle East with airlines such as Etihad Airways investing in the Dreamliner as part of their fleet strategy," said Marty Bentrott, vice president, Sales for Middle East, Russia and Central Asia, Boeing Commercial Airplanes. "Etihad Airways has already made a considerable impact with its new and innovative interiors offering to passengers, and we look forward to the 787 playing a key role in delivering on its promise of quality and profitability." It has been two decades since Alice Miller took her case to the Supreme Court of Israel and demanded that females be allowed to become fighter pilots in the Israeli Air Force. Since that fateful day, 38 women have completed the rigorous course to become a pilot, making up just ten percent of those who begin the course. The newest member of that illustrious team graduated her IAF training course this past December. According to the Israeli military magazine BaMachane, 31 of those women are still serving in the IDF in active duty, while another five are in active reserves. Of the last graduating class of pilots, women represented seven percent of the total graduating class. 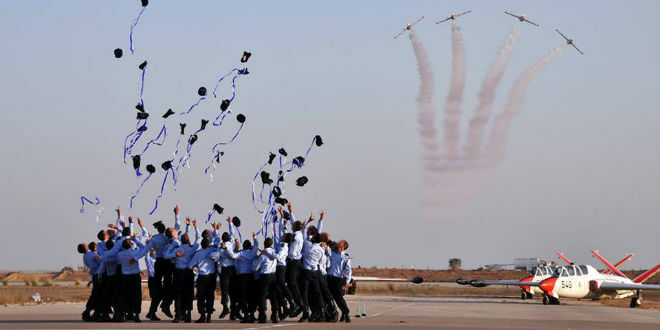 During the recent IAF graduation, the Air Force held exercises for the 169th pilot's training program. 400 recruits began the course, which was completed by 37 pilots. Of the graduates, seven will fly helicopters, three are fighter pilots, 16 are navigators for fighter pilots, six will pilot cargo planes, three are navigators for cargo planes, and three are standby pilots. 85 percent of the graduates will serve in mandatory service and 15 percent are in the reserves. One of the graduating female pilots is also religiously observant. "It's not every day that you see a young women clad in a long khaki skirt marching alongside the elite of the Israel's military echelon," wrote Ynet. "However, those completing Israel's infamously gruelling pilot IAF training program are an unusual bunch, handpicked out of thousands who vied for a spot in the lucrative program, and 'Yael' (not her real name) is no different." Yael is the second religious fighter pilot to have graduated the course. The first religious female pilot to graduate was Tamar Ariel, who died in a recent catastrophe while touring in Nepal. Both women are part of an illustrious history of trailblazing women who have achieved accolades in the Israeli military dating back to the pre-state militias who allowed female pilots. Until 1996, the training program was closed to women. Alice Miller then took the IAF to the Supreme Court and forced them to allow her to participate in the program. While the success rate among male trainees who participate in the program is higher (according to Air Force, data 20 percent pass the course as opposed to only four percent of females who succeed in passing), the women are no less counted upon when going into action. AgustaWestland announced that the Carabineros de Chile has placed an order for an AW139 intermediate twin engine helicopter. The aircraft, which will be delivered in the first quarter of 2015, will be used to support a wide range of missions including public order and safety, crime control, counter terrorism, drug control and border security across the nation, search and rescue and transport. The exceptional performance of the AW139, especially at high altitude and in high temperatures, will enhance the Carabineros' mission capabilities. The order marks the entrance of the AW139 into the Chilean helicopter market and an expansion of the Carabineros de Chile's AgustaWestland helicopter fleet, which includes five AW109 Power light twin helicopters that first entered service in 2008. The only new generation helicopter in its weight class, the AW139 sets new standards of performance in its category with a maximum cruise speed of 165 knots (306 km/h) and a maximum range in excess of 570 nm (1060 km) with auxiliary fuel. The aircraft has outstanding one engine inoperative capabilities, even in the hot and high environmental conditions. The AW139, together with the next generation AW169 and AW189 models, is part of the AgustaWestland Family of new generation helicopters which possess the same high performance flight characteristics and safety features, as well as sharing a common cockpit layout, design philosophy and maintenance concept. This commonality will allow more effective operations for customers operating helicopter fleets across the 4 to 8.5 tonne categories. The AW139 benefits from a range of modern, constantly enhanced and tailored support and training capabilities, designed to deliver outstanding mission effectiveness and safety standards whatever the mission, leveraging on the expanding network of AgustaWestland service and training centres worldwide. With orders for over 800 aircraft in more than 60 countries from more than 220 customers and over 700 aircraft already in service, the AW139 is the best-selling intermediate twin engine helicopter in the world. 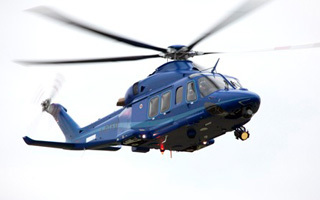 Many operators have chosen or are already operating the AW139 for homeland security, law enforcement and public utility applications in many nations worldwide including Chile, Brazil, USA, Italy, Japan, The Netherlands, Bulgaria, Oman, UAE, and China. The type has also found significant success for other applications such as offshore transport, EMS/SAR, executive/private and passenger transport, government and military roles.